We deliver peace of mind to our fire and police members and their survivors by providing disability and retirement benefits in a timely, compassionate and fiscally responsible manner. 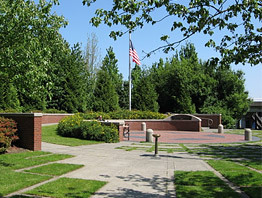 The Portland Police Memorial honors Portland officers killed in the line of duty. You can visit the Memorial, and honor Portland‘s fallen officers at the southwest end of the Hawthorne Bridge.